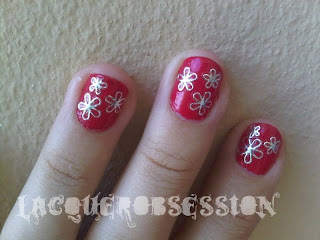 So here's my first try with Incoco Dry Nail Appliquè. It is very easy to apply, you just need a little patience and caution. 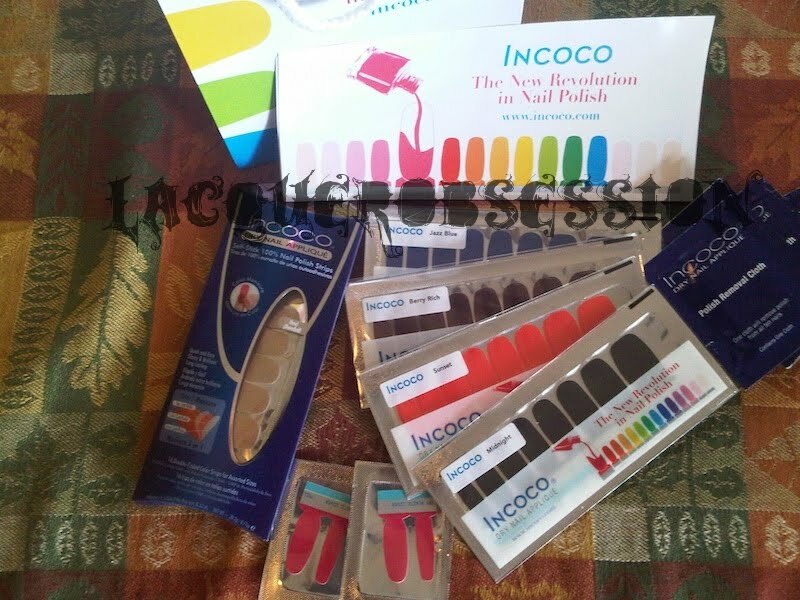 Also while applying the strips I thought Incoco is the perfect answer for when going on a trip and not necessarily wanting to carry nail polishes around and risk spillage and broken bottles. So enough talking let's get to the pictures, I tried the Color Manicure in "Midnight". 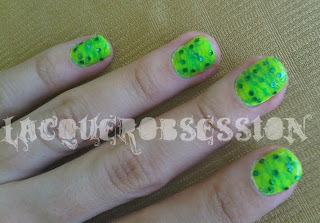 It looks very smooth and I will definitely try these again! 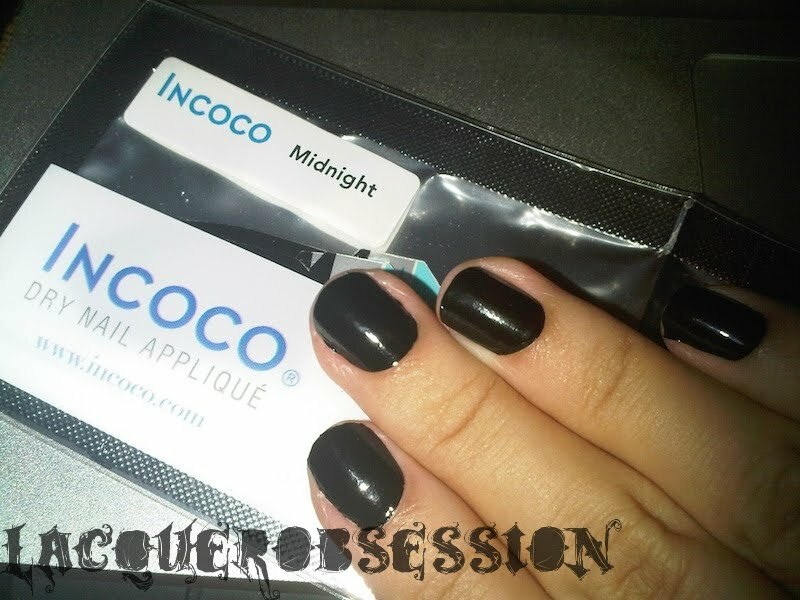 In case you didn't see the previous post you can use the coupon on the sidebar for your Incoco purchases (BGCLB10). I hope you give Incoco a try! 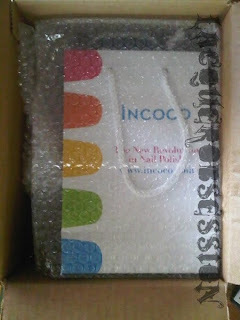 So Incoco was generous enough to send me some samples to show you girls their products!! Thank you Incoco for these .. review coming up! Girls check out Incoco here http://www.incoco.com/ & you can use this coupon at checkout :) BGCLB10 for 10% off the entire purchase!! I did this one a couple of weeks ago! China Glaze "Mediterranean Charm" with VivaLaNails metallic nail stickers!! 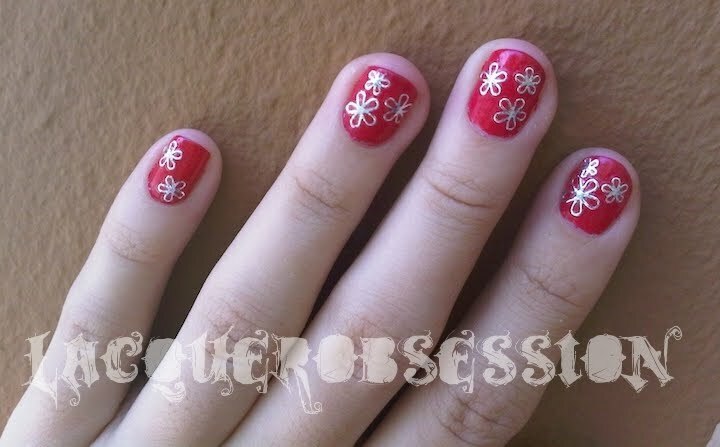 I hope you liked them & Happy Lacquering!!!! 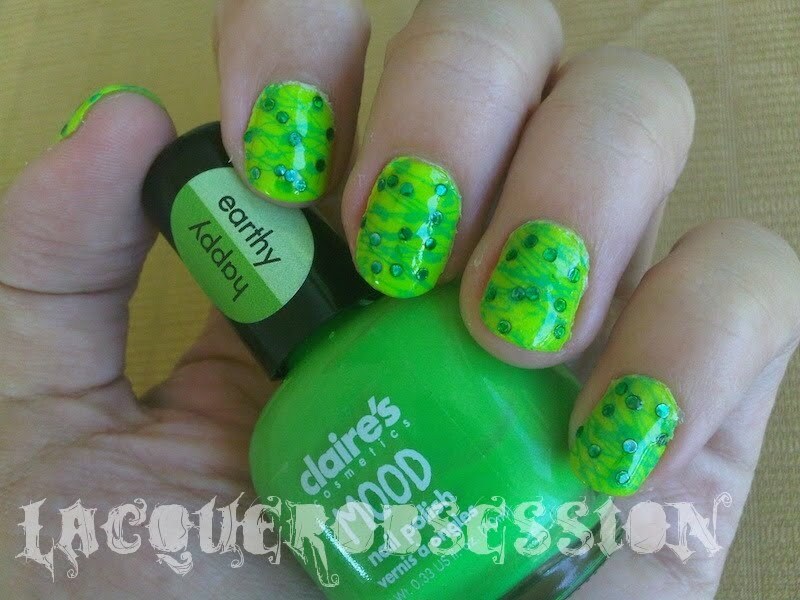 It was a gorgeous idea but I was a little impatient with the application and the polish wasn't the best formula to deal with. In the pictures you can see bubbles and all sorts of bloopers. 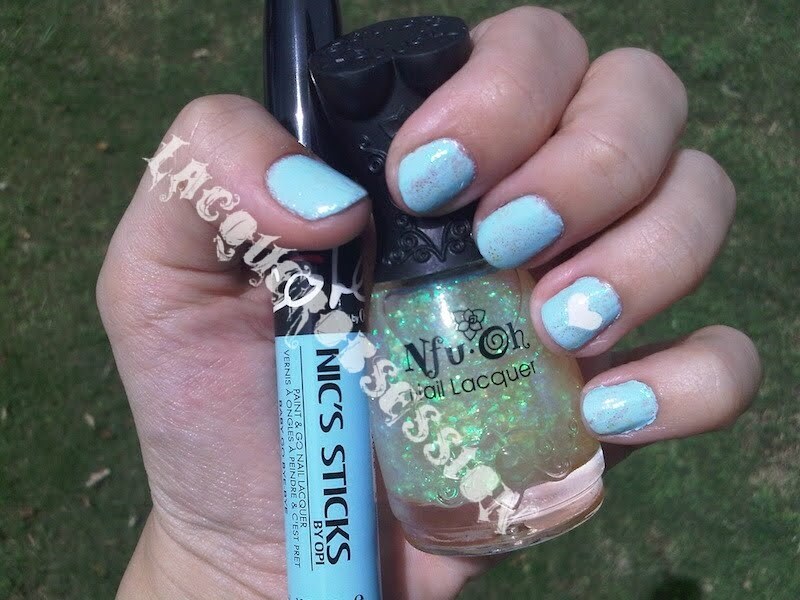 *Nic's Sticks by: OPI - "Baby Go Bye-Bye"
*Seche Vite - "Dry Fast Top Coat"
So, what are your manicure bloopers? 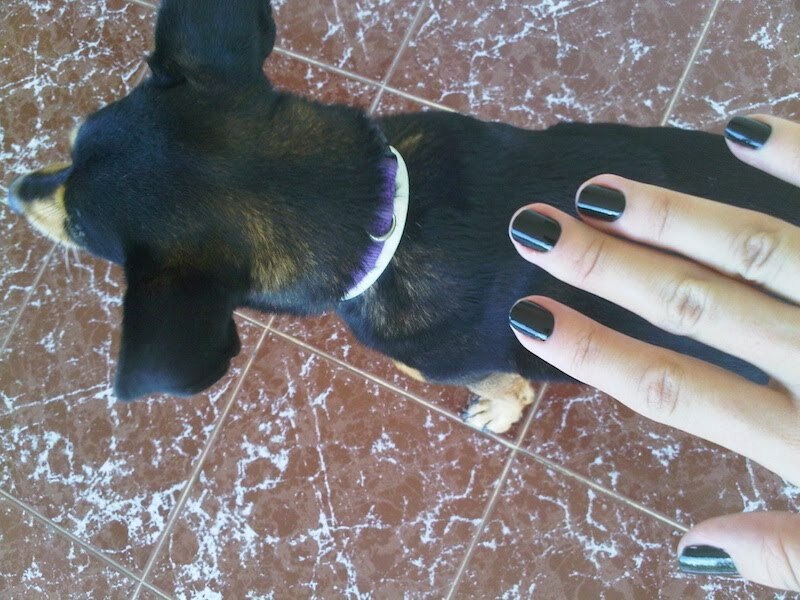 This week I helped my sister on her manicure and it looks very pretty! 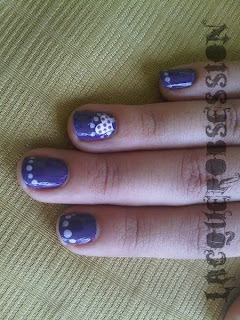 We used China Glaze "Grape Pop", China Glaze "Light As Air" and Claire's 3D Nail Art Stickers. Claire's Mood Polish - "Happy/Earthy"
Seche Vite "Dry Fast Top Coat"
I hope you liked this manicure! China Glaze - "Re-Fresh Mint"
China Glaze - "Four Leaf Clover"
Sally Hansen - "Xtreme Wear "Going Green"
I apologize for being missing in action, school started and I've been kinda busy and lacking nail inspiration/creativity. I do have some posts lined up that I should post in the coming weeks. Also noticed I didn't get Calm/Wild when I got my Mood Polishes :( , I have no idea why I left that one out, so I'll probably go get it this week too. Anyways I hope I get some free time soon! Take care everyone & Happy Lacquering!